Located in Ossona, next to Milan and Malpensa International Airport. 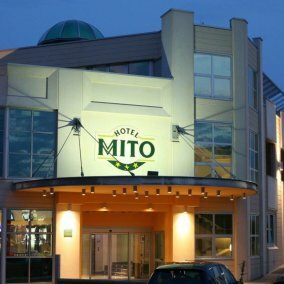 Hotel MITO offers a variety of facilies designed for business travelers: technology, comfort and hospitality set apart Hotel Mito from a Simple 3 stars Hotel. Hotel Mito is a green Hotel. The great use of ecological resources and the high respect of nature drive hotel Mito to the best. Close to Milan but far from stress. 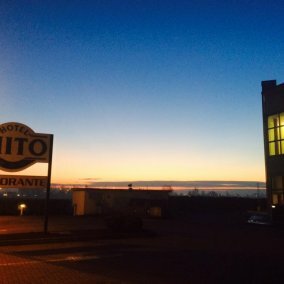 Hotel MITO is 500 meters from ARLUNO exit of the A4 MI-TO highway. Strategic to get to FIERAMILANO in Rho-Pero, official headquarter of Milan for the most important trade shows, as well as for Malpensa Airport which is 15 minutes away. Hotel MITO is overlooking Milan, a world more than a city: at the top not only as a financial and fashion center, but also as a world leader for events and today the most visited Italian city. From the Hotel, Milan city is reachable by railway line 6 (S6) of Vittuone which is 4 km away. Ossona, where the hotel is located, is a highly concentrated business area. However, it is a great turistic area too: for example Magenta and Legnano are historical and characteristics cities, Morimondo Abbey and Ticino Park are interesting touristic destinations, while for an intense shopping session you have "Vicolungo Outlet" shopping mall just 20 minutes drive and Arese Shopping Center, the largest mall in Europe to spend hours of leisure time just a few minutes by car from the Hotel. Hotel Mito is a new generation project, tought to obtain an "A" class accomodatio structure. The actual design started in May 2006 with the goal of opening the hotel by April 2008 (less than 2 years). During the first 8 months we have been working to examine and define the implementation criteria to get a project as close to reality as possible, to avoid any changes in the way of work. Definition of guests type that would have attended Hotel Mito. Indispensable for the choice of services to offer and facilities. Definition of the type of equipment and materials needed for the construction of a class "A" building. Search and selection of 360 ° suppliers, from building to plants and finally to furnishings. The hotel opened in 12th April 2008, a few days before one of the most important trade fairs in Rho - Pero, Salone del Mobile MILANO. Designed with new technology systems, the whole operation is planned to guarantee the maximum living comfort in great respect of nature. These features set Hotel Mito as a precious jewel in his area. In the basement, besides the garage, there are dressing rooms, laundry warehouse, restaurant warehouse, electrical technician room, water power plant, firebox and fire-fighting facilities. All other technological installations (heat pumps, water power plants, solar panels and solar panels) are located on the top floor of the hotel. The structure has been designed in full respect of architectural barriers and allows disabled people to move comfortably from the garage to the rooms, from the hall to the dining room and to reach any area of the 'hotel. Four rooms are specifically designed to accomodate any guest in total comfort.